The first nest arrived in the spring. A small bird had wound hundreds of thin weed twigs around and around. The structure suggested diligence and skill that I found beautiful and fascinating. Simple yet complex. I started a sketch in graphite. I added a little watercolor. Hours and hours later the drawing had become a painting that revealed a depth of space and values I had not anticipated. 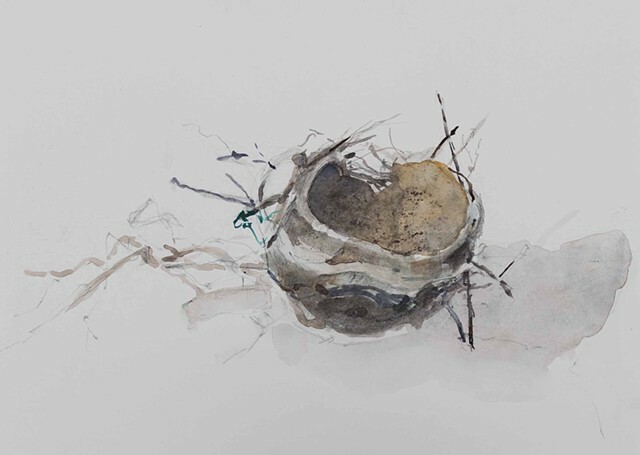 Then another nest came to my studio. And more came. I have twelve nests now and have been sketching or painting them for months. There are still more to explore and find the variations of architecture and materials used by different birds. This series has provoked a lot of discussion and interesting responses. An artist I greatly admire offered a response I greatly appreciate. 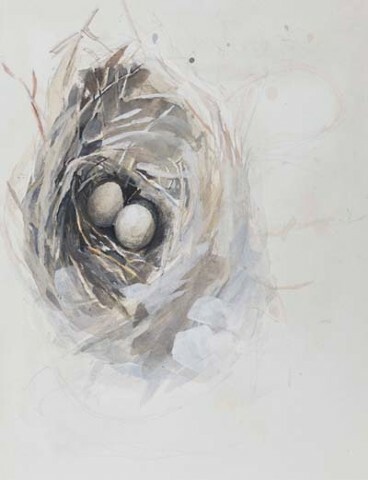 Your nests, Kaylyn, are particularly touching for me, because they contain within them the sense of their own fragility, both as physical objects rendered through your sensibilities, and as reflections on the inherent fragility of life itself. I suppose too, the containment of chaos that so often make up the structure of these found and abandoned nests. Congratulations! ---Marvin Lieberman – Artist. Spain. 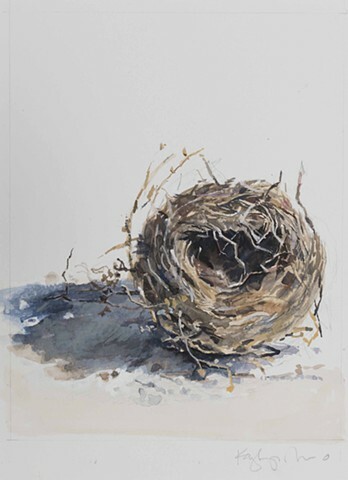 I hope that the nests touch viewers as they have me.